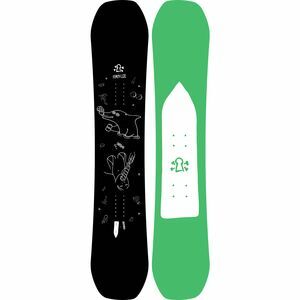 StepChild Snowboards are ridden by some of the hardest working pros in the business, dudes like JP Walker, Simon Chamberlain, and Markku Koski. Those guys are no joke, and neither is StepChild. Created in 2001, StepChild has stayed true to snowboarding and its revolutionary culture ever since. It has challenged the corporate influence in snowboarding every step of the way for one basic reason: StepChild cares about snowboarding first and money second.